I was thrilled to see this book, as I looked through the library shelves this weekend! It was amazing at how much I remembered just by looking at the title of the book. I immediately said to myself, this is about the boy with the long name that fell in the well. I loved this story as a little girl. As I read, it did not disappoint. It was just as I remembered and I was able to share it with my husband and daughter. Tikki tikki tembo-no sa rembo-chari bari ruchi-pip peri pembo and his brother Chang spent their days playing by the well. Young brothers having fun and playing as little boys do. Tikki tikki tembo-no sa rembo-chari bari ruchi-pip peri pembo, the first born was given a long prestigious name to show that he was older and honored by his family; whereas, Chang was the second child and was given a plain and simple name. Tragedy struck and the folk tale claims that changes were made to the name tradition. 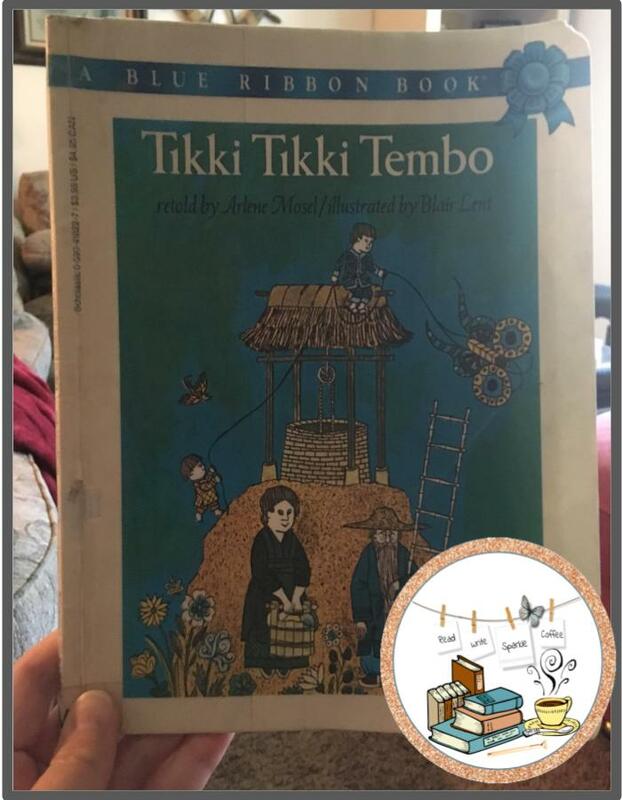 In the classroom, I would read the picture book Tikki Tikki Tembo to share the Chinese culture and discuss the importance of our names. Whether they are short, long, or somewhere in between; names are the first given portion of our identity.